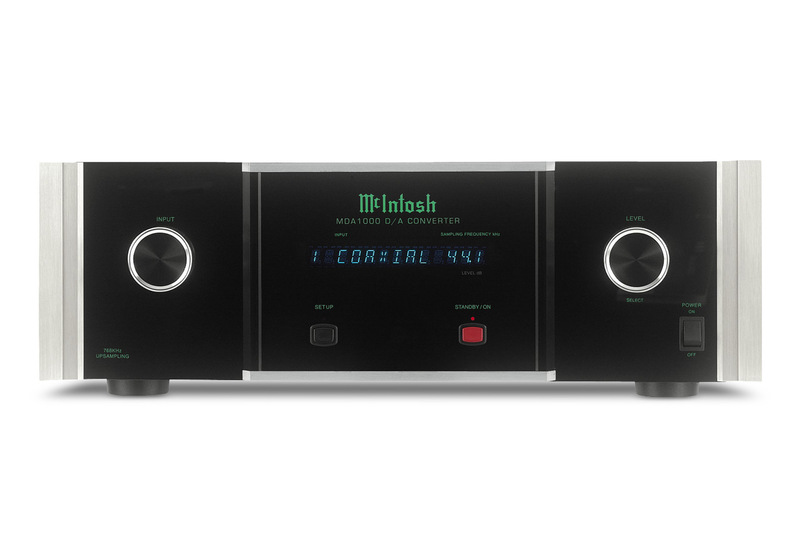 McIntosh MDA1000: It's multi input digital to analog converter and provide world class sound clarity. It;s 24 bit digital to analog converter and sampling frequency from 32 to 96 KHz. The level control is especially useful. Programmed in the active state—the thing can be defeated—a setting of "80" delivers unity gain, and this can be goosed to a setting of "100." The gain is enough to drive any McIntosh amp to full volume—and probably just about any other power amp, too. The quality of manufacture and the ideas behind the Mcintosh MDA1000 are exceptional in every aspect. The external design may not appeal to everybody but please do remember that it has changed little since the late 60s to have proven its timelessness.